If you’ve been married for any length of time, you’ve probably experienced it – the all-day-long fight. You know, the one you just can’t seems to resolve, the one that leaves you nearly breathless and emotionally spent. And even when you do manage to see each other’s point of view, even when you reconcile with I’m sorrys and Forgive mes, you’re left with all of these leftover ugly feelings inside. You’re still grieving the fact that you argued to begin with. You might even be nursing a few wounds even as you make up your mind to forgive. Have you experienced this phenomenon, friends? The post-argument hangover can leave you feeling stuck, unable to move on if you let it. It keeps you mired right where the Enemy wants you. What we need is a gameplan to help us overcome! 1. Remember who you are in Christ. Now that the fight has been resolved and you are right with one another and right with God, you’ll still have those leftover human emotions and hormones flooding your body. 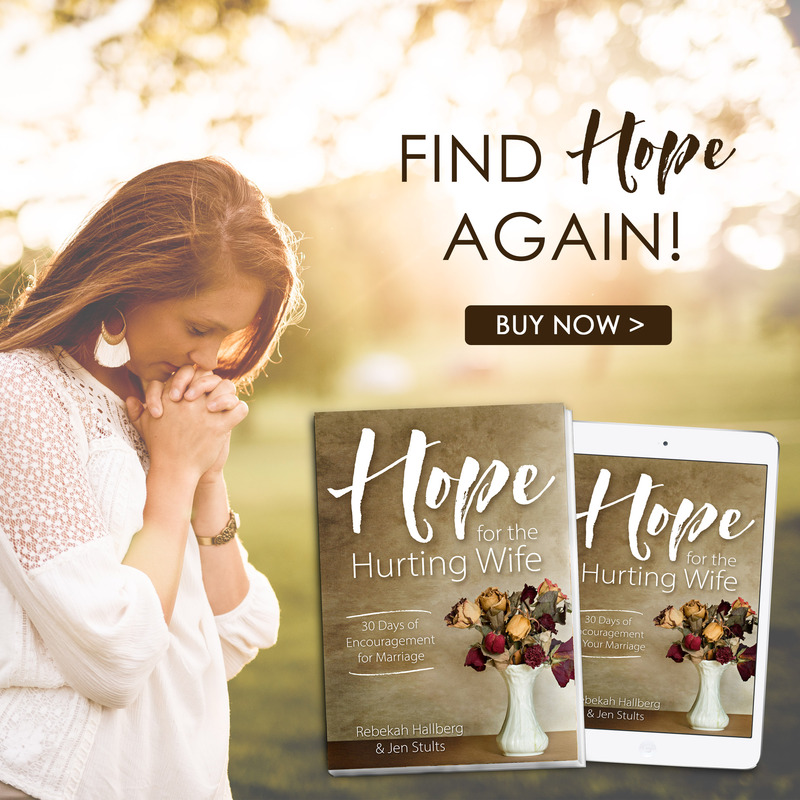 The Enemy is sure to sieze this opportunity to envelop you with debilitating guilt – the kind that leaves you feeling stuck and unable to move on. The kind of guilt that calls you a bad wife. The kind of guilt that tells you your arguing is ruining your children. The kind of guilt that whispers you’ll never change. The guilt that leaves you feeling hopeless and helpless. 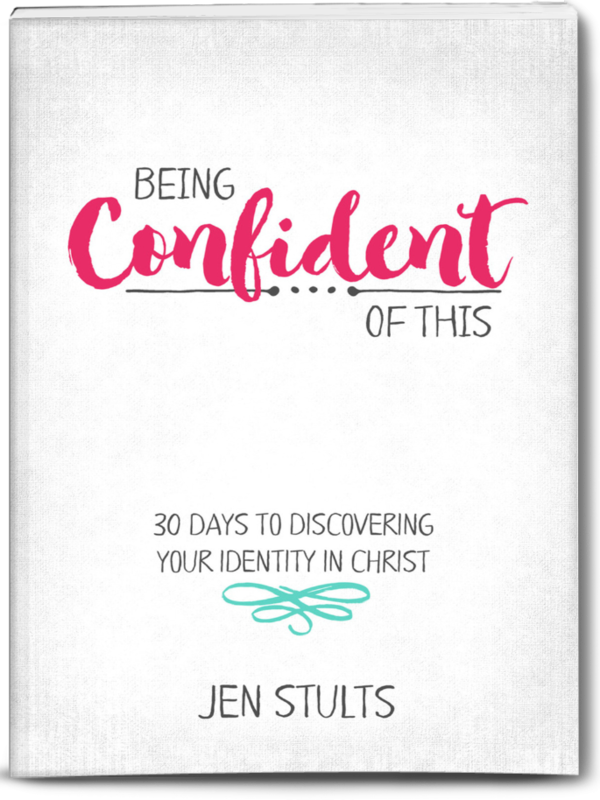 Arm yourself with truth from the Word and fight to claim your status as beloved daughter of the King, holy and blameless before God because of the blood of Jesus, a work-in-progress woman who isn’t finished yet. It’s not the end of the story, friend. The Enemy has no right to accuse you any longer! Remembering your birthright gives you the weapon you need to defeat that post-argument hangover. 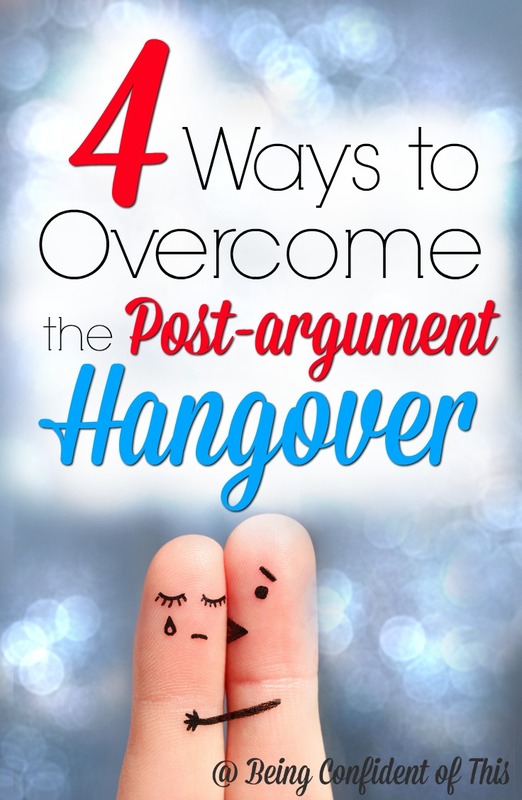 Click here to follow me over to my friend Rebekah Hallberg’s blog for the three remaining ways to overcome the post-argument hangover! I agree…the biggest battle you may face is the one that occurs in your mind. The Enemy has a way of keeping us defeated and downcast. You are absolutely right that we have to fight for Truth in God’s Word. Thank you for this encouragement today! The “hangover” is something I haven’t consciously “named” before, which always helps in overcoming! So true, Marie! I think sometimes it happens without us even realizing it, so half of the battle is learning to recognize the Enemy’s influence and our own internal chatter. Post-Argument Hangover. Perfectly named–love it! And what great tips for diffusing it and moving on. Remembering who we are in Christ, coming together in unity to pray, and deliberately reconnecting. Great advice–thanks. Those changes you would like to see in your marriage and in your husband keep praying for them just like the persistent widow from Luke 18. Jesus instructs us to follow her example in praying without losing heart.